Age 64 or 65 is upon you, and you’re researching your Medicare options. The problem is, Medicare can be complicated. One of the biggest questions people have is: What’s the difference between Original Medicare, Medicare Advantage, and Medigap (also know as Medicare Supplement) insurance? We’ve broken it down to make understanding the three far less complicated. Enrollment: You can enroll for Medicare during the three months before your 65th birthday, the month of your birthday, and the three months following your birthday. You can get information and sign up for Medicare through medicare.gov or the Social Security Administration at ssa.gov. These sites will tell you when it is best to begin receiving Social Security benefits with your Medicare enrollment, or whether you should defer Social Security and sign up for Medicare alone. Original Medicare: “Original Medicare” as it’s commonly called, is provided for by the federal government. It consists of Part A, “hospital insurance,” which covers inpatient care and services at hospitals, skilled nursing facilities, and hospice; and Medicare Part B, which is “medical insurance,” covering doctor visits, tests, shots, and medically necessary outpatient services. Since prescription drugs are not covered under Medicare Part A and B, there are Medicare Prescription Drug Plans (a.k.a. Part D) that you can enroll in, which cover prescription drugs for a monthly premium. What does Original Medicare cost? Medicare Part A is free for most people, though the 2018 deductible is $1,340. Medicare Part B costs $134 to $428.60 per month, depending on your annual income. The yearly deductible is $183. It is worth noting that with Part A, once your deductible is met, days 1-60 of hospitalization are covered 100%. After 60 days, you must pay an amount set by Medicare, and there is no maximum amount for out-of-pocket expenses. Only a Medicare Supplement (also called Medigap) plan will cover your hospital costs if you are hospitalized for more than 60 days. For Part B, once your deductible is met, it generally pays 80% of the Medicare-approved amount for covered services. That means you are responsible for the remaining 20%— and there is no maximum amount for out-of-pocket expenses. For more extensive coverage you would need to consider a Medicare Supplement/Medigap Plan. Let’s say you’ve chosen Original Medicare. Though your monthly premium cost may be relatively low, your out-of-pocket costs may be expensive to get the care that you need or want. To ease the financial burden of this coverage “gap,” you may choose to sign up for a Medicare Supplement Plan. Medicare Supplement Plans are offered by Medicare-approved private insurance companies and help cover the 20% of hospitalization and doctor expenses that Medicare Parts A and B don’t cover. With a Medicare Supplement Plan, you can visit any doctor who accepts Medicare. Typically, the most you will pay in a given year is the sum of your Medicare Supplement and Medicare Part B premiums. There is no deductible beyond your premiums for most Medicare Supplement Plans. However, Medicare Supplement Plans do not cover prescription drugs, vision, and dental. 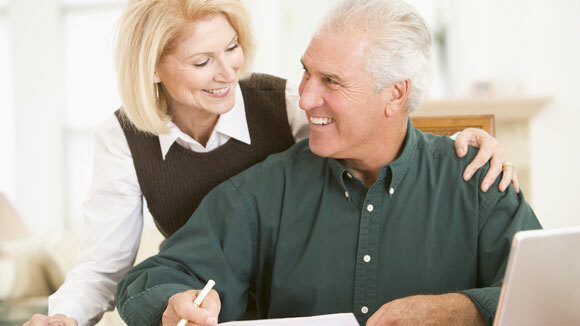 When are you eligible for Medicare Supplement insurance? Anyone who has Medicare Parts A and B can buy Medicare Supplement insurance. If you buy a Medicare Supplement insurance within six months of turning 65, you are guaranteed enrollment, regardless of any existing health problems you might have. (And provided you faithfully pay your monthly premium, Medicare Supplement policies are guaranteed renewable and generally continue year after year automatically.) After age 65 1/2, you can still sign up for a Medicare Supplement Plan, but you may have to undergo a medical exam and could be denied coverage. Even if you qualify for coverage, your premium may be higher if you have a preexisting condition. As one choice, you can get Original Medicare (Part A and Part B), along with a Prescription Drug Plan, and opt to also get Medicare Supplement insurance, or as another choice, you can get Medicare Part C, which is also called Medicare Advantage. You cannot have both Medicare Supplement Insurance and a Medicare Advantage Plan at the same time. Medicare Advantage (Part C) is a way to get Medicare benefits instead of getting Original Medicare. Medicare Advantage is offered by Medicare-approved private insurance companies. All Medicare Advantage plans offer at least the same benefits as Original Medicare, and in some cases also include prescription drug coverage, vision, and dental. The coverage, however, is generally limited to in-network doctors and hospitals. What does Medicare Advantage cost? Your Part C monthly premium depends on what the private company charges and the type of plan you choose. Your out-of-pocket maximum with a Medicare Advantage Plan is $6,700 per year, as long as you use in-network doctors and hospitals. For out-of-network services, you are responsible for the full amount. It’s important to note that, in addition to paying your monthly Medicare Advantage premium, you must still pay your Medicare Part B premium. When are you eligible for Medicare Advantage: You can sign up for Medicare Advantage insurance during three months before your 65th birthday, during the month of your birthday, and for the three months following your birthday. You can also enroll in a Medicare Advantage plan during an annual Open Enrollment period, from October 15 – December 7. Bottom Line: So which choice is better for you? It is broadly a financial/health decision. If you want to limit your healthcare bills to a guaranteed amount every year and know that everything is covered, consider Original Medicare plus a Part D Prescription Drug Plan, plus a Medicare Supplement Plan. Know, however, that the premiums for a Medicare Supplement Plan could be expensive. If you’d rather use a network where costs could be lower, a Medicare Advantage Plan may be for you. But with Medicare Advantage, you could pay as much as $6,700 a year in medical expenses. If you’re really fit and healthy and are comfortable with the risk of 20% co-insurance, stick with Original Medicare. Everyone’s healthcare needs are different. To find the right plan for you, it’s best to reach out to licensed plan representatives for more information.